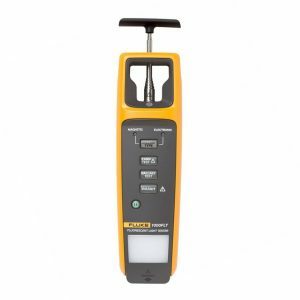 Fluke’s 124 ScopeMeter incorporates the functionality of three devices into one comprehensive unit. It includes a 40MHz oscilloscope, a dual input true RMS multimeter and a TrendPlot recorder all in the same device. 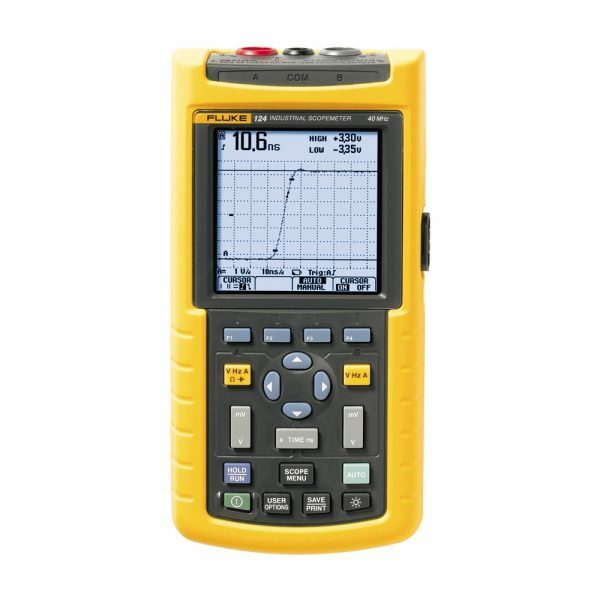 The oscilloscope mode of this device can be used for comprehensive display and tracking of two waveforms over a time period and includes pulse width triggering, time delay, dual slope triggering, n-cycle triggering, automatic storage of up to 100 screens, frequency spectrum analysis and waveform comparison/pass fail testing functions. A number of cursor functions are also available using the 124. 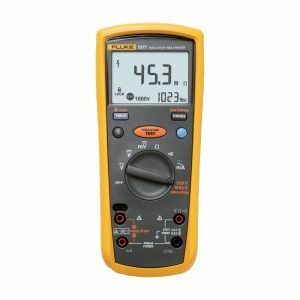 The built-in multimeter can accept two inputs and can measure DC and AC voltage, resistance, continuity, diode, current, temperature, capacitance, dbV, DBM and crest factor. This mode also includes a touch hold mode for temporarily storing testing data and a zeroset function. 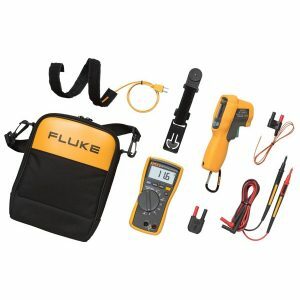 Automatic measurements: 26 (all instruments) On top, Fluke 125 has additional measurement functions for Power (W), VA, VAR and Power Factor (PF) for single phase and balanced-three-phase (delta) power systems. 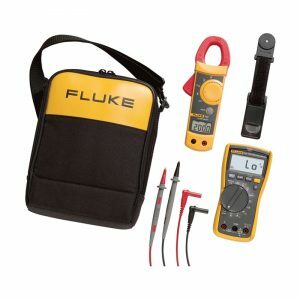 Fluke 125 has capbility to analyze the harmonics contents of power signals. See below for details. 0.1 / 1 / 10 / 100 / 1000 mV/A, 10 mV/mA and 400 mV/A. Voltage waveform(Ch.A), Current wavefrom (Ch.B) or Power (Ch.A x Ch.B), automatically generated. DC up to 24th harmonic (for fundamental up to 400 Hz). THD in %r or %f.